1. What is content marketing exactly? 2. What qualifies as content? 3. How should I get started with content marketing? 4. What are the steps to developing a content marketing strategy? First, determine who your target audience is. Develop a customer persona to whom your content should speak. Then, based on that persona and your company’s brand image, decide on your company’s voice, and the type of content you will be creating. Your content needs to be informative and valuable, as well as interesting and engaging, to your target demographic. And once you start producing content, constant tweaking of your strategy is in order, based on how successful each post is. 5. Do I need to constantly create new content? Yes and no. Content creation does need to be ongoing, but there are ways to streamline and simplify the process. One of the easiest and most effective ways of doing so is to repurpose content. This entails creating content in one form and then reworking it several times in order to utilize that same information in other forms, as well. For example, you might write an ebook about an important topic in your industry. Then, you could take the chapters of that ebook, and edit each one to make them into individual blog posts. Next, you could create an infographic illustrating the statistics mentioned in the ebook. And finally, you could give a webinar discussing the content in that ebook. Not only does this approach lighten the content creation load, but it also allows the same content to be consumed by people with different tastes in content. 6. How often should I post fresh content on my site? There is still a lot of debate surrounding this question – every industry and every demographic sees different content consumption patterns. But in general, fresh content should be posted no less often than twice a week. As for an upper limit, there is none – studies seem to show that posting once a day, or even several times a day, is a very effective way to drive traffic to a website. It’s just a matter of deciding how much time and effort you can devote to creating content. Google is known to give more prominence to websites that update their data on a frequent basis. 7. 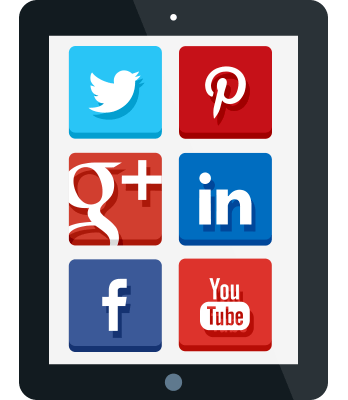 How important is it to share my content on social media? It’s not important – it’s essential. Posting content to a blog and then sitting back and hoping that visitors will find it is an exercise in futility. In fact, some blogging gurus maintain that only 20% of your time should be spent on content creation, and the other 80% on promoting that content via social media! It’s that vital. 8. Is guest blogging part of a content marketing strategy? Yes! Content creation is content creation, whether it’ll appear on your site or someone else’s. Of course, guest blogging is also an essential part of outreach or digital PR, but the principles of content marketing still apply – you want to create valuable information that will help consumers. 9. Do I need an editorial calendar? Some businesses swear by them, others not so much. How important an editorial calendar depends on your individual strategy. However, even if you don’t maintain a full-blown, detailed editorial calendar, you should at least plan out your content a month in advance, noting any holidays or promotion dates you want to mark with special content. 10. 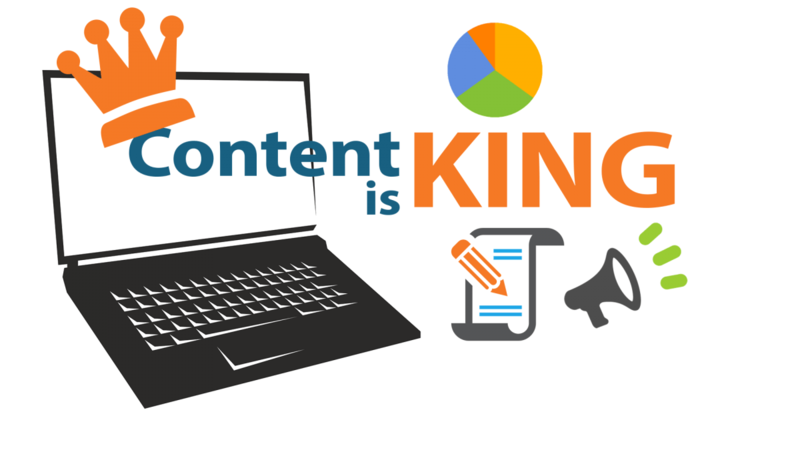 How important are keywords in content marketing? Despite the constant changes to Google’s algorithm, keywords are still important in content creation. While the standards have been somewhat relaxed, so that words and phrases that mean approximately the same thing as the exact phrase searched for can now pop up in search results, too, it’s still best to include a few mentions of the exact words and phrases you want to be found for. Just remember that your priority is always to write for humans, not search engines. 11. How do I make my content engaging? The answer to this question depends a lot on your particular audience. What’s engaging to teens will necessarily differ vastly from what middle-aged business professionals will find engaging. Speak to your target audience’s pain points or interests, let them see that you understand them and want to help them – and then open up the conversation. Ask questions, and invite them to respond. The beauty of content marketing, as opposed to traditional marketing, is that communication is not one-way anymore. 12. How can content marketing make me into an industry thought leader? There’s a lot of talk about the importance of becoming a thought leader – and with good reason. Getting you known as an expert in your field is exactly what content marketing is meant to do. It’s what creates a sense of trust in consumers, which allows them to feel comfortable making a purchase from you. By creating unique, original content, in which you demonstrate your expertise and answer questions consumers might have, you’ll be on your way to becoming an industry thought leader in no time. 13. Is there a difference between B2C and B2B content marketing? Yes and no. The purpose of each is the same, but since the audience is different, your content will also vary. B2B content tends to be more professional and businesslike in its voice – though not always – and the topics will, of course, be more business-oriented. B2C content, on the other hand, is usually more conversational, and the topics have a little more free range. 14. Should I create timely content or evergreen content? The answer here is a definite…both! It’s important to have content addressing current events and new developments in your industry – that’s a great way to draw traffic to your site through social media and online searches. But it’s also important to create evergreen content that will continue to attract visitors for months and even years. Otherwise, your entire library of content will continually lose its relevancy within weeks of its publication. 15. How can I incorporate big content into my content marketing plan? Big content, such as that contained in white papers and ebooks, is an important part of any content marketing strategy. Not only does it demonstrate to your audience that you are enough of an expert in your field to be able to write an entire ebook or white paper about a subject, as opposed to writing only short and simple blog posts, but it also gives you a tool for attracting email subscribers. By offering a piece of big content as an incentive to join your email list, you ensure that you have access to an audience interested in your content…and your company. 16. Is short-form or long-form content better? Much debate surrounds this topic. Some studies seem to suggest that short and sweet is best – that consumers want to skim a short blog and be able to get the message quickly. Other research shows that long, in-depth, detailed posts are best at converting. Our answer? Find out what your unique audience prefers through testing. Write some long posts and some short ones, and see which ones are most successful – and then create more like them! 17. How can I create content that converts? It’s important to remember that content marketing is just one step in the conversion funnel. It’s only through a combination of SEO, content marketing, social media marketing, outreach, email marketing, and website design that prospective customers are led to convert. That said, content marketing is vital in the conversion process since each page of your website and each informative blog post or white paper plays a distinct and definite role in convincing visitors to buy. Craft different content with each step of the conversion funnel in mind and don’t forget to include a solid call to action. 18. What are some common content marketing mistakes? 19. How do I get people to read my content? 20. How do I measure the success of my content marketing efforts – and my overall digital marketing efforts? Ultimately, the success of a digital marketing plan can be seen in the number of conversions it creates. But it can be difficult to track exact results, as a consumer needs several “touches” before finally deciding to purchase. A visitor may read a blog post and then see an update on social media, and then read a few emails, before finally deciding to convert. While the blog post wasn’t the immediate cause of the purchase, it was that all-important first touch. So give your new digital marketing efforts some time to take effect, and then look for an overall uptick in sales. That’s how you’ll know if things are working as planned.